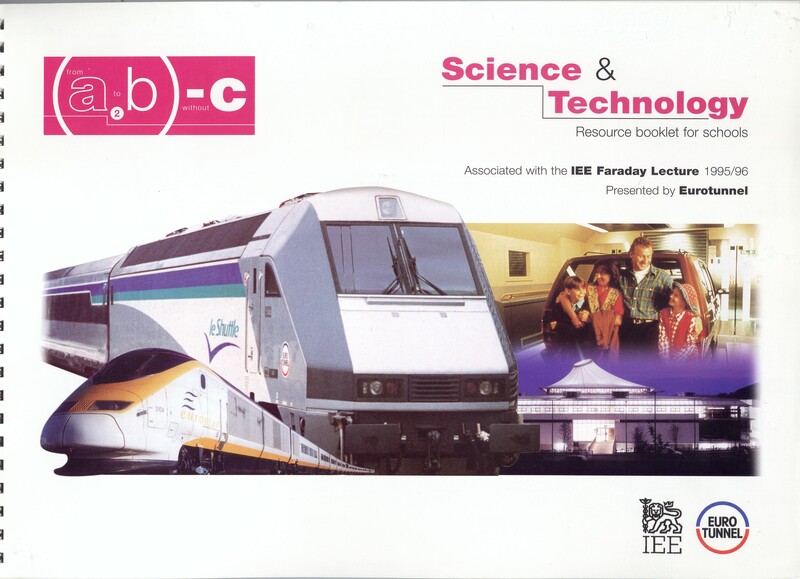 The ‘Channel Tunnel Business’ booklet opposite is representative of the twenty-three learning resources published by this educational collaboration and is still available as shown. 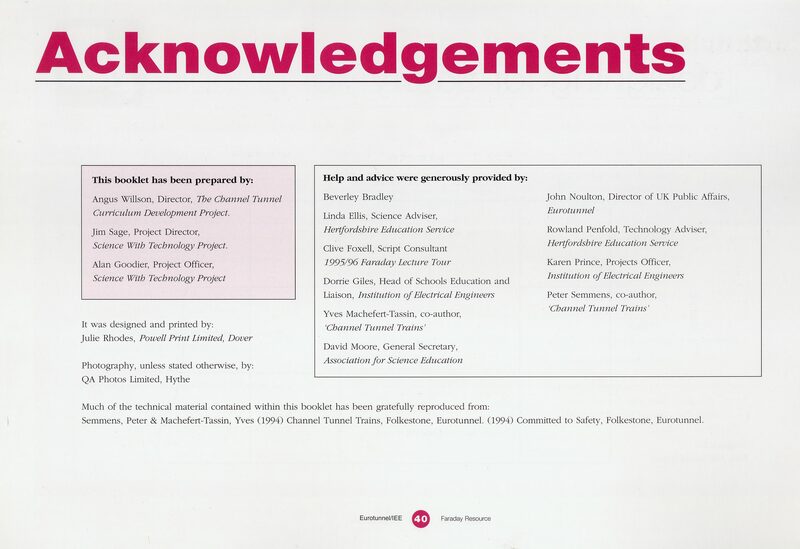 One of the items published was a short video ‘An Introduction to the Channel Tunnel’ compiled from 45 source-tapes. We also had access to a huge photographic library contracted to QA Photos, Hythe and all manner of technical documentation. During the construction period the Exhibition Centre had an education room for workshops and the Centre was visited by thousands of students of all ages. 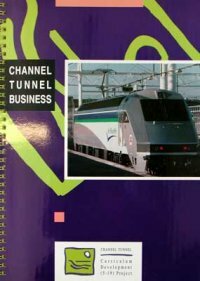 The inauguration of the Channel tunnel on 6 May 1994 was a huge event and was accompanied by a two-week community festival. There was a great team to work with at the Exhibition Centre and the Eurotunnel public affairs team managed by Tony Berkeley. 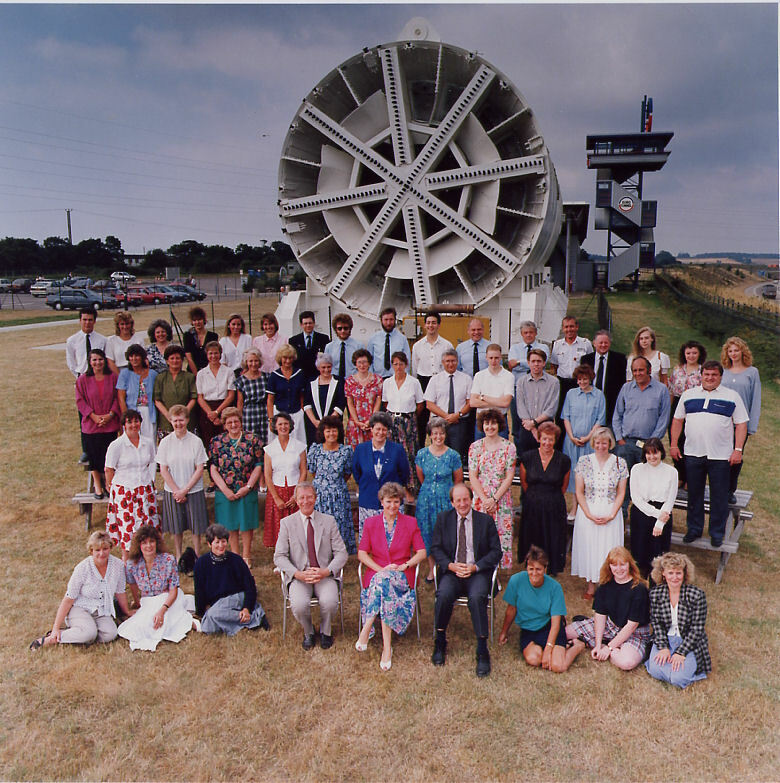 The photo is taken in front of the tunnel boring machine which had done it’s work of tunnelling from Shakespeare Cliff near Dover back towards Folkestone. Too many to mention them all, but hero colleagues include Lucinda Campbell-Gray, Sarah McCullough, Helen Curtis and Penny Smith. I was involved in the preparation of the prestigious Faraday Lecture series run by the Institution of Electrical Engineers (IEE) and sponsored by Eurotunnel. There was a large team behind the scenes and two colleagues, Simon Storer and Patrice Bacon, enacted the presentation around the country. At the end of this period I spent an interesting term shadowing a KCSA School Development Consultant and trained for headteacher appraisal.